I love this record. Although I don’t know much about it. 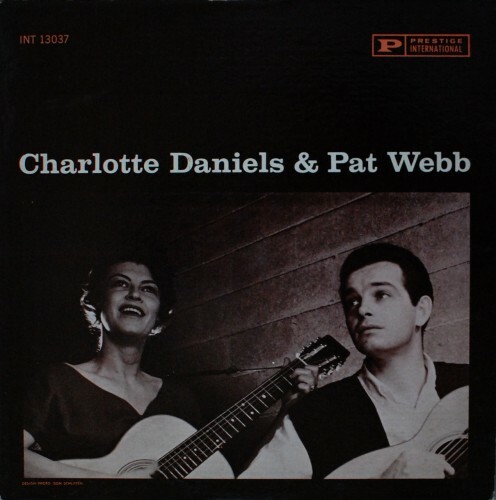 Apparently both Charlotte Daniels & Pat Webb were married and kinda big in the early ’60s urban folk music scene but I can’t find too much info about this particular album. I think this is the only collaboration they did and it was a one-off afternoon recording type thing, just picking songs off the top of their head to play together, which is what makes this so awesome. It’s not especially folky. They play a mix of stuff, a lot of old blues, traditional ballads, and upbeat almost rockabilly tunes. Daniels has a fantastically order cialis india rich voice and Webb’s guitar picking is spot on. I can’t quite explain why this record does it for me, though. I’m pretty sure it has to do with the selection of songs and Daniels’ voice, but there’s something mysterious about it that makes it endlessly enjoyable. This record, and dozens more, belonged to a family member who recently died. They were given to me to digitize so the rest of the family could listen to them. I plan on sharing some of the most interesting ones on AGB as well, so keep an eye out for old folk records popping up under the OOPs category.